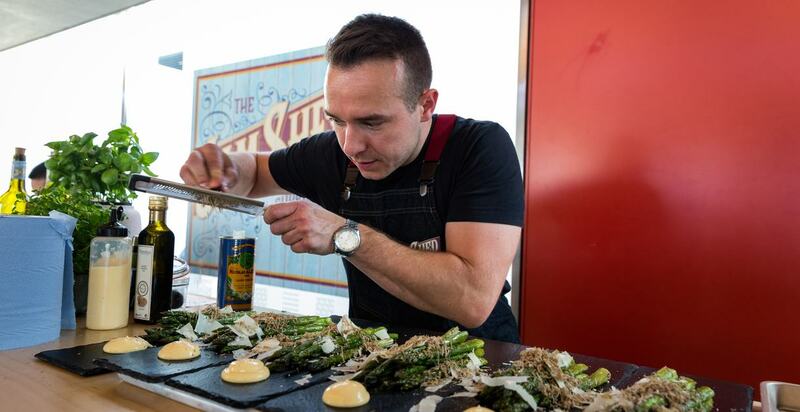 The Jam Shed Supper Club, the pop-up restaurant at the Royal Festival Hall, with a rotating cast of Masterchef contestant chefs, is back for a winter run, open Tuesday - Saturday evenings until 15th December 2018. Tickets are priced at £45 each, and the line up includes Jane Devonshire (gluten free), Dean Edwards, Natalie Coleman, and Sara Danesin. Each night has just one sitting, starting at 6.30pm. 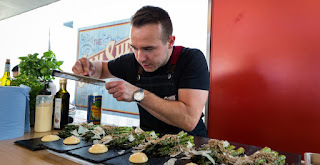 "Dine on delicious cuisine from MasterChef finalists while enjoying spectacular winter views across London from the top floor of Royal Festival Hall. The Jam Shed Supper Club provides the perfect setting for a fun festive night out to enjoy dinner and live music with friends and family, or for hosting your work Christmas party. Iconic Australian wine brand Jam Shed invites you to indulge in a night to remember at the top of Southbank Centre. Enjoy an array of wine-based cocktails in a cosy private terrace area before your meal. Match the fruit-filled flavours of Jam Shed wine with a series of sharing dishes and small plates created by the experts, alongside Clement Worrall event caterers. Springboard trainees work with both the chefs in the kitchen and front of house to learn essential skills and help you enjoy your night.."